Clare and Dublin will now meet in an All-Ireland Camogie play-off after the sport's governing body backed down from a plan to draw lots to see which of them would remain in the competition. The camogie championship appeared to be in chaos after Clare and Dublin refused to take part in a drawing of lots. However, the camogie association then offered a play-off between the teams. That game will take place in Thurles on Saturday (14:00 BST) with the winners going on to face Wexford on Monday. Clare and Dublin drew their group game and ended level on points and initially the camogie association said that the competition's regulations precluded the use of points difference or a play-off to decide who would go on to face Wexford. Instead, the governing body said that lots would be drawn before they rowed back on that decision on Wednesday afternoon. Prior to news of the play-off offer, the Clare County Board said its players were "inconsolable and feel betrayed". Dublin and Clare lodged appeals against the drawing of lots ruling but they were not heard as the Camogie Association ruled that a decision by its Central Council couldn't be appealed. 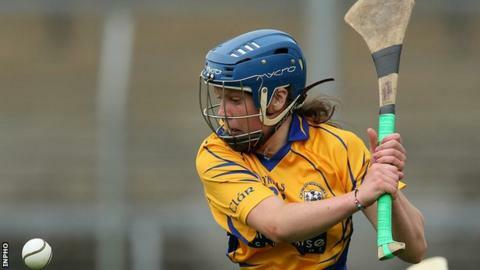 "The Camogie Association has demonstrated their utter contempt and disdain for every player and member of the Association," the Clare board added. "How can a governing sporting body justify by any logic the Drawing of Lots (coin toss) to determine progression in the Championship? "The decision by Ard Chomhairle not to adjudicate on the merit of appeals lodged, shows the contempt with which the lower units of the Association are held. "The upset and mental anguish that has been forced upon players by the Association, will have deep and long lasting repercussions." Speaking on Wednesday evening, Dublin manager Shane O'Brien said that he was relieved that "sense had prevailed" in the saga.